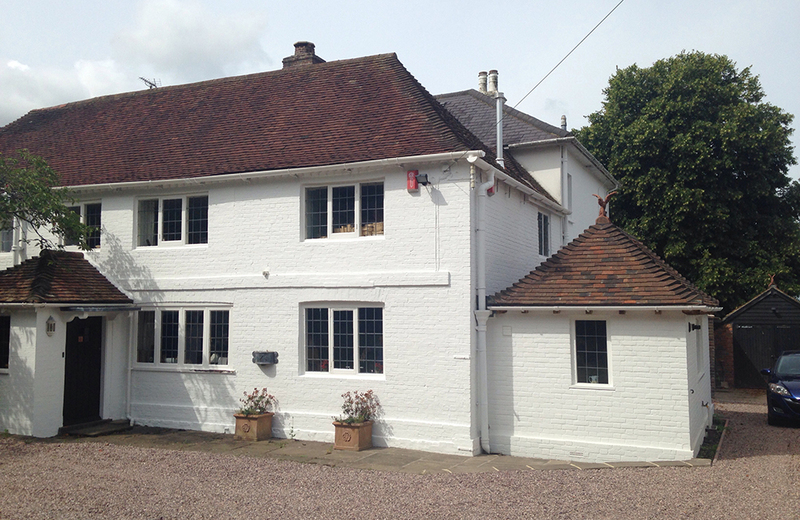 Retrospective consent granted for demolition of an incongruous Edwardian chimney. 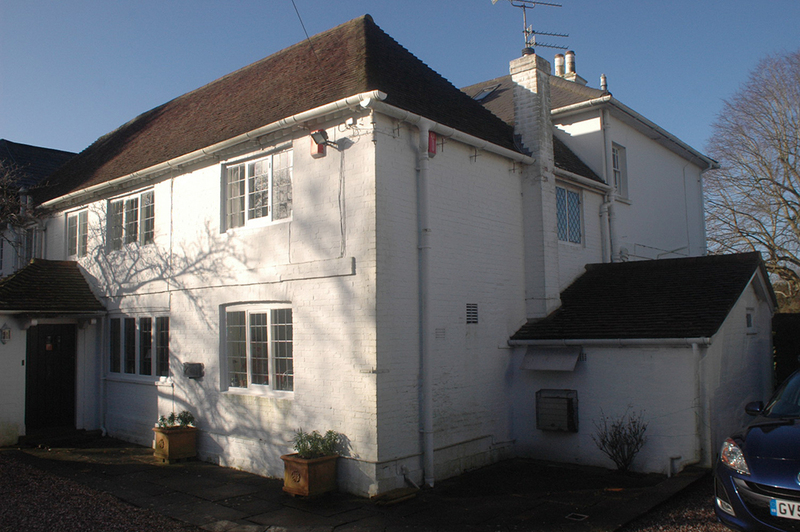 Consent was granted as an alteration to a previous permission that included the demolition of the incongruous Edwardian extension. 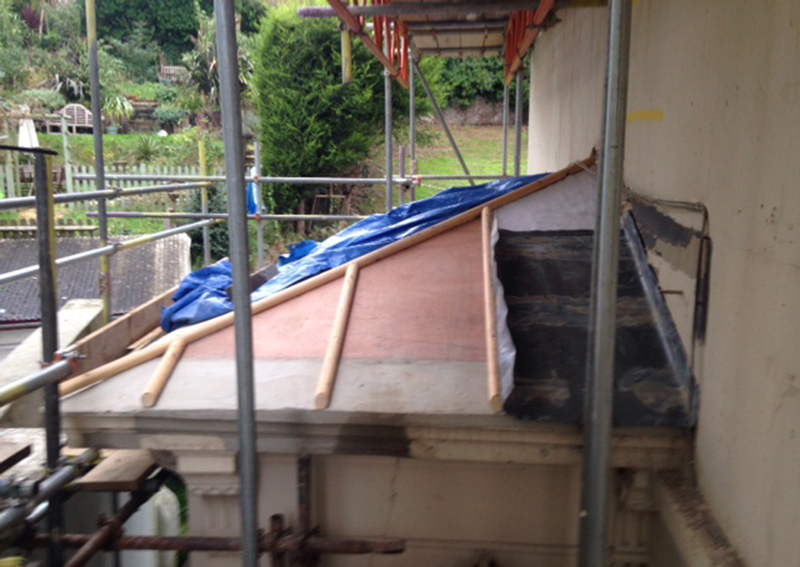 Demolition of both ensures that the original north face of the timber framed building is exposed. 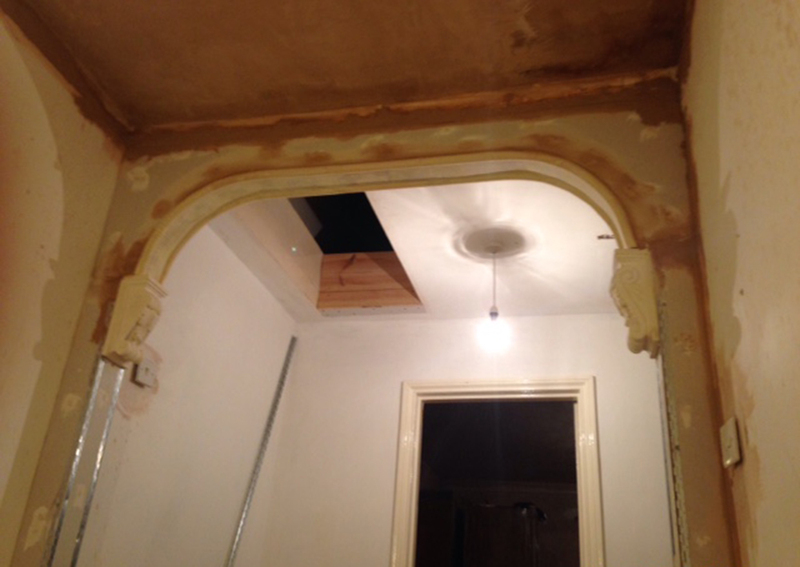 Internal walls are finished using an insulated lime render. 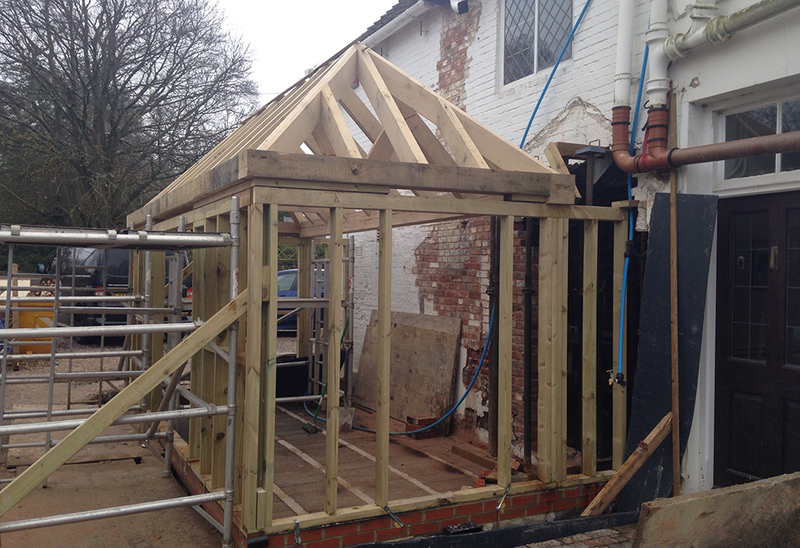 Exposed Oak framing with carpenter’s marks – almost finished. 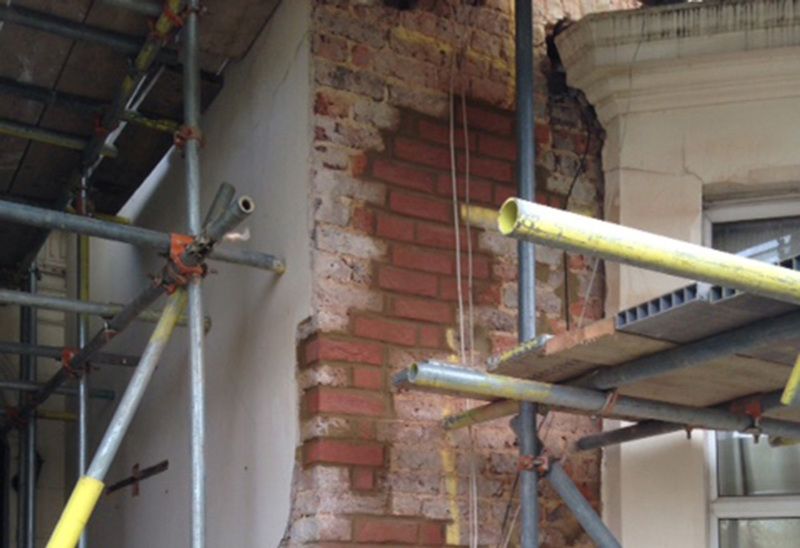 128 Bricks replaced and 40 structural ties embedded in the brickwork as a result of cracks rearing their ugly heads after the popped render was removed. This was due to historic movement of the building. After almost a week of continuously beating and stretching the lead covering, we are almost there. Extremely high quality and beautifully detailed Oak Framing, with jointing that is almost seamless. 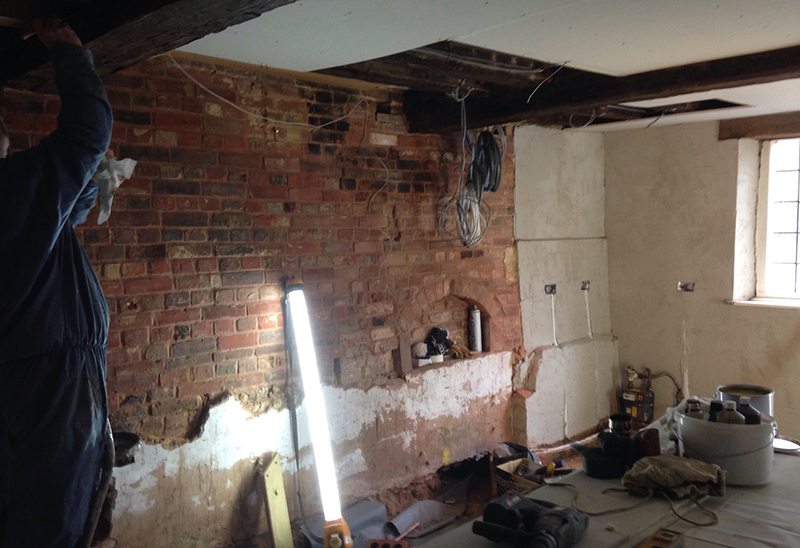 Flitch plate installed and brick work reconstructed around oak beam using lime mortar. 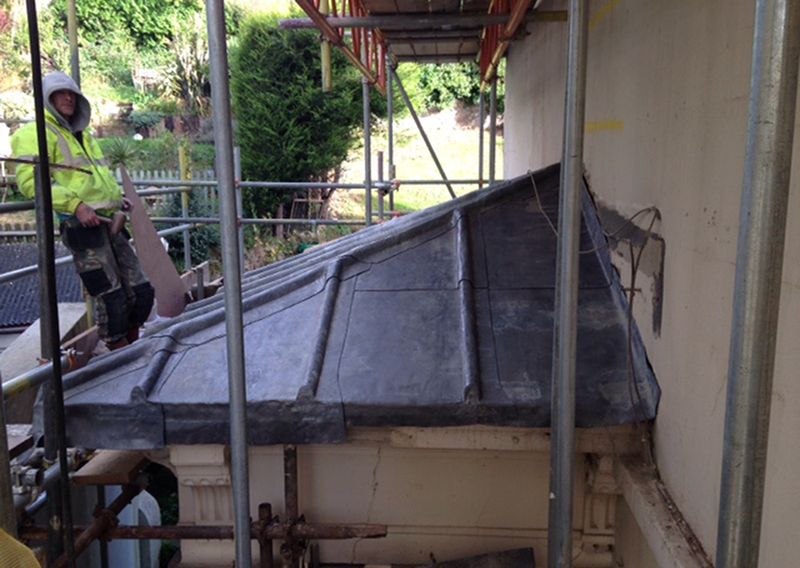 First of a series of plaster mouldings are made and fixed in place, bringing the character of the house back to life. 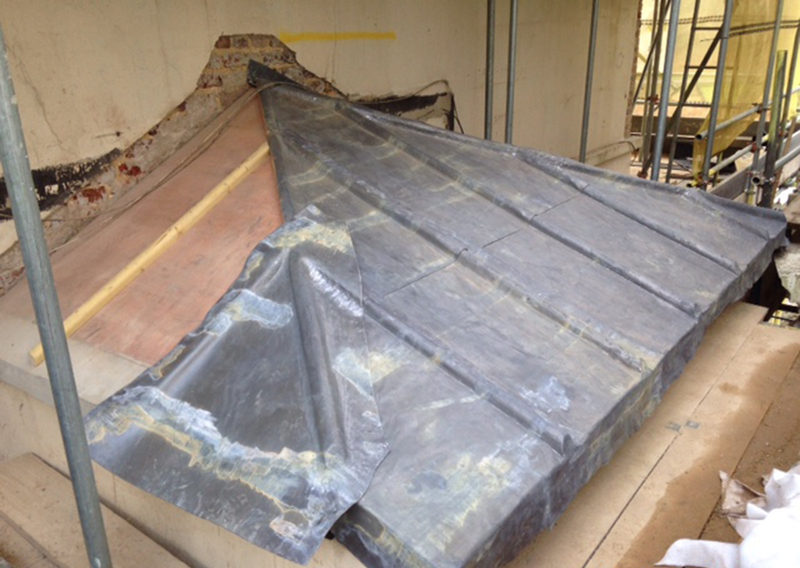 The lead roof is almost there. 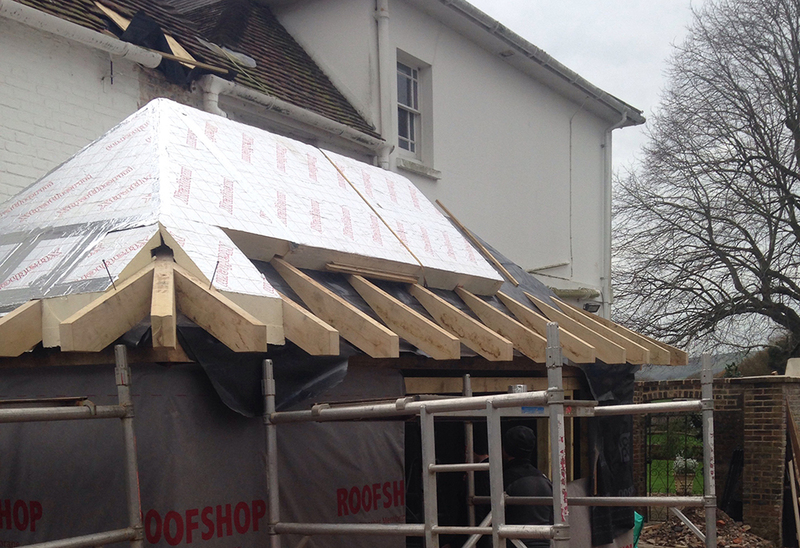 Wooden structure in place, wood rolls in place, application of lead work begins.